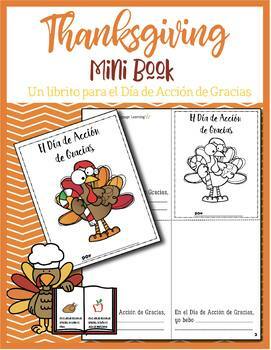 This adorable mini book is just in time for Thanksgiving! 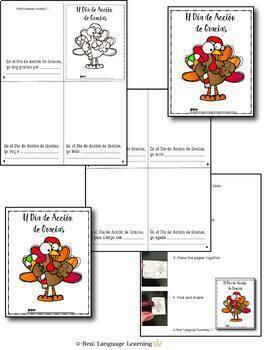 Your students will use the present tense in Spanish to describe their Thanksgiving traditions - what they eat, drink, and do; how they help; and what they're thankful for. They will add small illustrations to each page to add context to their writing. This product is intended for beginning and intermediate level Spanish students. Advanced students will enjoy it, too...they'll just complete it faster! This mini book uses just one double-sided sheet of paper. When cut and folded, there are seven pages for students to complete.